This Place of Worship was founded in 1913, and we understand it is still open. 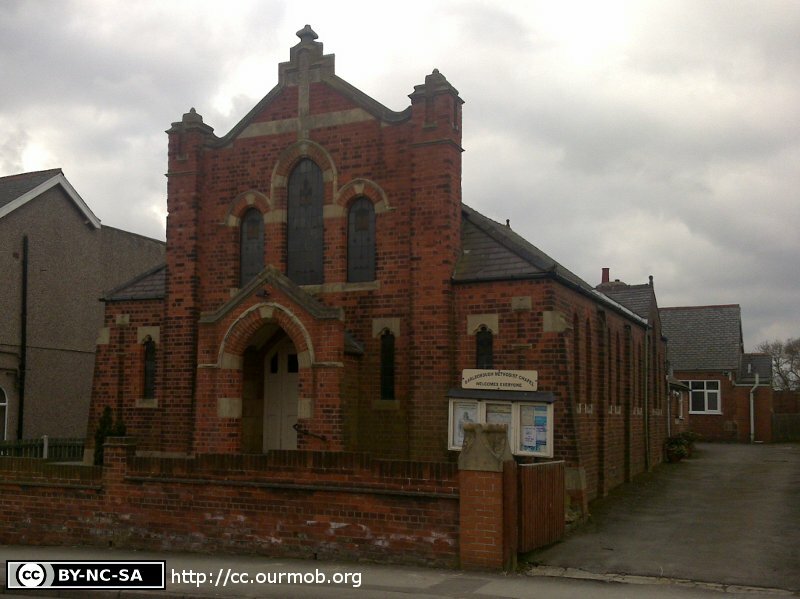 Barlborough Methodist Chapel is situated on the west side of New Street, about 500 yards south of its junction with the High Street. There is a date inscribed on the square plaque just below the apex of the roof, indicated it was erected in 1913. A Separate Building, duly certified for religious worship, named PRIMITIVE METHODIST CHURCH, situated at New Road, in the civil parish of Barlborough, in Worksop registration district, in the county of Derby, was, on the 22nd March, 1932, registered for solemnizing marriages therein, pursuant to 6 & 7 Will. IV. c.85. Dated 23rd March 1932. Note: the notice board outside the building reads "Barlborough Methodist Chapel Welcomes Everyone". So (unusually for the times) they do not call themselves a Church. Barlborough Methodist Chapel, Barlborough shown on a Google Map. Information last updated on 10 Dec 2018 at 10:04. Please also remember that whilst the above account may suggest that Barlborough Methodist Chapel remains open and accessible, this may not remain so. This Report was created 29 Mar 2019 - 19:07:22 GMT from information held in the Derbyshire section of the Places of Worship Database. This was last updated on 6 Feb 2019 at 15:49.